The poor man’s yacht. – Dirty wet dog , boats and sailing. In the first video post of the year i started a review of the books and boats from the board of the late L.Francis Herreshoff. I have 3 of his books and although i need to refer to all 3 it’s mainly his title ‘The Compleat Cruiser‘ that i talk about in that post. In this post i am mainly going to talk about a book of his that i enjoyed a lot more : ‘Sensible Cruising Designs’. In the first video post i said that i first bought that book and his title ‘Sensible cruising designs‘ some time around 1995 just after i left professional sailing and that i really didn’t enjoy or even really understand the book at the time. Herreshoff did say in the book that he based the style on the late Isaak Walton’s book ‘The Compleat Angler‘ written in 1653. In fact he even based the names of the first 2 boats that appear in ‘The Compleat Cruiser’, the ketch Viator and the cat-boat Piscator after the 2 characters in Walton’s book. When i first read the Herreshoff book i at first found it funny in an anachronistic way, almost like trying to read ‘Swallow’s and Amazon’s today, but then rapidly found the book both pedantic, plodding and annoying. Herreshoff was clearly very knowledgeable and a great designer but he does come across as extremely dogmatic and opinionated, i think he gets away with that only because he did actually know what he was talking about. Herreshoff in one of his canoe designs, unknown photographer. In the first video i also said that i couldn’t get a good sense of the cruising ground that he was talking about partially because i don’t know it myself and mainly because he doesn’t bother to describe it. It’s possible that Herreshoff felt that boaters would know it so well that he didn’t need to. For me a map and some pictures of the Cape Cod area would have really helped me understand the area. As a sailor myself, and to get some sense of what the area is like i simply bought a chart of the area. The second and greater problem for me was that i really didn’t understand his boats and that was nothing but ignorance on my part. At the time i think i had only seen one of his larger designs once (Ticonderoga) and only later found one of his designs (H 28) locally. The former boat is a very famous boat : i think i saw her at Antigua classics one year. The latter design (H28) just didn’t seem in any way special when i found it, run down and scruffy, in a south coast boatyard. When it comes to me reading Herreshoff writing about yachting i always think that he is on the right side of the tracks, yacht designing father and so on, and i am from the wrong side…..even in sailing. My own sailing experience seemed to be the very thing he had contempt for : in his words , ocean racing ‘freaks’ and crew that just cost the owner lots of money every year. In a Herreshoff-ian kind of way i may be a sailor but am definitely not a yachtsman ! In the first book he even seems to state, through one of his characters, that he despised professional yacht captains and paid hands. He clearly had no love for ocean racing and competitive boats. Having just stopped being a very hard working professional sailor and driver of ocean racing ‘freaks’that clearly rankled with me and it’s only now, 20 years later, that i can re-read the whole thing with wry amusement. Something i also noted is that he always seems to be harking back to a time that was better, certainly in sailing. I have only just got my copy of another Herreshoff book ‘The Golden age of yachting‘ and that theme runs strongly through the book. If the first part of my review seemed very negative please also remember that i am at great pains to express how the book and his ideas did go on to shape what i did next. In fact when i first read the book i didn’t really understand that i had already left ocean racing ‘freaks’ behind and have never since gone back to them. In fact his immediate influence was that i stopped sailing for a while and became a canoeist instead. His later influence was to broaden my theoretical knowledge of boats outside the limited world of boats that i then knew. His books did have a major influence in that i started to learn much more about boats and sailing and i would come to realise what a narrow view i then had of sailing. Sailing, for me, at the time, was only and always about one type of boat that can hardly even be thought of as seamanlike . Here i am talking about the bizarre shapes that the International Offshore Rule (IOR) accidentally created. Herreshoff’s boats by contrast are often sweet lined artistic boats that would give their owners far more pleasure than anything i sailed at that time. May the death roll begin….unknown photographer. IOR 2 Tonner i think. Meadowlark. 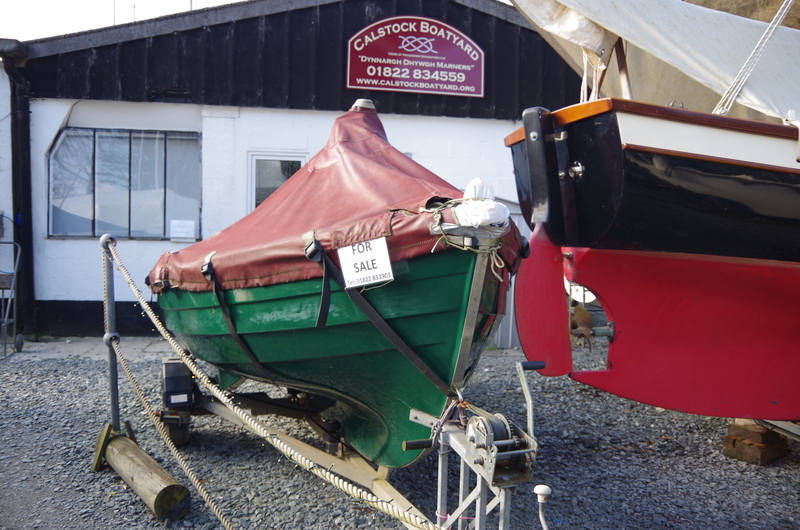 Shallow draft leeboard ketch….radical ! While i am still thinking about L. Francis Herreshoff and his books another problem became more and more apparent and that of me being unable to place the books in time. I think the cruising story ‘The Compleat Cruiser’ is set in the 1950’s and my sense of the US of that period is the very strange one of returning servicemen, the nuclear era and the cold war, of McCarthyism, Elvis, the early days of the civil rights movement and even the Hollister riots. Ok, so i have a strangely eclectic idea of US social history but Herreshoff only shows us a small select slice of upper middle class American life almost as if the cruise was outside of it’s place and time. In part 3 of the series i am going to take a look at Herreshoff’s ‘The Golden age of Yachting, and try to complete the work with a historical/social look at the USA of the 1950’s and beyond. This is the video that goes with the blog, please excuse the complete loss of sound in the first video clip, for some reason i managed to not record any sound during that entire session. I then had to re-shoot the whole thing with just hours to go before the post was scheduled…..tough life this film making ! In the ‘Compleat cruiser‘ Herreshoff uses a character as a way to ask a question which he then goes into great length to answer, this , his long expositions about endless small detail is what i found pedantic and plodding at the time. My opposite view is that his technique did also introduce me to many things i didn’t know about , one example being canoe sailing which according to him had been a popular sport and pastime at an earlier period. From his book and other sources i now find that the period he is talking about with regards to the sailing canoe runs from around 1880 up to about 1920 after which the sailing canoe becomes a lot less common. One of the other sources i will be working from are the books written by the late John MacGregor , often known as ‘Rob Roy’ to his family and who should be credited with the whole concept of canoe cruising and canoe sailing in this country. In ‘Sensible Cruising Designs‘ the double paddle canoe is his first featured design. The way that the book works is that it is formed from a series of articles that Herreshoff wrote for ‘The Rudder’ magazine. Each of the 9 featured designs come with lines plans and ‘how to build the boat’ and in most cases begin with an essay about the featured boat. Rob Roy sailing canoe. Image author unknown. “I suppose,” said Goddard, “about the smallest successful cruisers were the several canoes named Rob Roy that John MacGregor designed for himself and in which he made his famous cruises during the 1860’s and 70’s. And later on in the same section. “To finish up with the Rob Roy canoes,” Goddard said, in developing these craft, Macgregor started with the Eskimo kayak as the basis of the design. This is the little craft that was to be propelled principally by a double paddle with the canoeist sitting very low in a small cockpit , using an apron around his waist to keep out what sea might slop upon the deck. As for model he chose a shape which might be described as about halfway between an elongated life boat and a kayak. The Rob Roys had very little freeboard amidships and even some tumblehome at their widest part where the paddle might strike the sheer strake. So, the poor man’s yacht in the title of this post isn’t the kind of low end and run down small cruising boat as we know them today, and essentially the very same boats that i write about often, but rather some variant of the sailing canoe as they were then known. For me the ‘poor man’s yacht’ would be many of the small unpretentious sailing boats that came out of the huge explosion in leisure sailing in the 1960’s and 70’s. If anything the time that Herreshoff is writing about is just before low end sailing pikey’s like me could go sailing in our own mass produced boat …. and without being lowly deckhands on a rich ‘yachtsman’s’ elegant steam launch or classic era yacht. At the time the open canoe would have been well known in the US, especially in the northern/eastern states as they derived from native craft there. The MacGregor canoe is almost a new kind of hybrid craft at the same time. While the John MacGregor inspired boats are one new canoe variant , open canoeists and sea kayakers have also used improvised sailing rigs for their craft. I found this image online which was taken by Barry Long and is from the Adirondack museum : the actual exhibit being labelled “The poor mans yacht” The sailing canoe in the exhibit is , i think, a Rushton ‘Vesper’ type. The exhibit title below ‘Poor man’s yacht‘ comes from the title of an article in the US Field and Stream magazine and was all about the new sailing canoe at that time. The exhibit below is at the Adirondack museum and the photograph is credited to Barry Long. The sailing canoe is, i think a Rushton made boat. Herreshoff’s first influence on my own sailing is that i stopped being ‘bonkers for freaks’, left the world of contorted IOR boats behind and became first a sea kayaker and later an open canoeist. Sadly that period for me was pre- digital and i don’t have any pictures of our trips in either craft. As a couple we paddled in north Wales, Scotland, New Zealand and down here in the south west. We did one long trip to the lakes country of northern Ontario with an open canoe during which we lived out of a 16 foot canoe for some 2 weeks without re-stocking. A huge influence on that trip was our experience in bushcraft which started in this country under the direction of people like Ray Mears and Ben McNutt and later Ray Goodwin whom i mention in the video. Today i have almost come full circle with a new interest in the potential of the sailing canoe as a small cruising boat. There are several reasons for my renewed interest in the sailing canoe : first i might just be able to build one at home and secondly it could become my main source of exercise. I do admit that i also just fancy messing around with one. For today’s post i’m going to leave it at that point, when i come back to it i hope to have a donor boat to start my own exploration of the concept with. This video isn’t mine but was filmed and produced by creator Simon Lew, i think it’s a nice view of some of the several different approaches to sailing canoes. Previous This year in sailing. That Rushton Princess is a very fine looking craft, just like Meadowlark. Back in my youth I owned a 17′ double-seat wooden-framed Tyne boats folding kayak of late 50s vintage, fetchingly skinned in truck tarp blue. Wish now I’d have put a sail on it. I also wish I still had it 😉 I very much enjoyed this post and your video. I’m interested to find out more about you new stove. Cheers Steve. I’m on the look out for a plywood canoe of that kind of vintage. One has just come up on ebay…typically 250 miles away ! I have always liked the sailing canoe concepts. I think that even in the early days there was royalty taking part, but maybe dreamt that. The development of the International 10 sq m canoe is still out there and has had many designers involved in its development, including Uffa Fox. On a very slightly different tack, what about the West Mersea Duck Punts, probably at the bottom of any ‘cruiser’ category but from what one can see in the various blogs so simple to build and a lot of fun. Dylan still has his one. There’s an international canoe on the river up here, goes like s**t off a shovel……but only when it stays upright. Looking out for a donor canoe for the project, something like an old granta. I appreciate that you have a lot of projects on the go Steve, so the thought that a Percy Blandford canoe from plans is way out. However, they do turn up from time to time. I think that Bell Woodworking were supplying kits for same about the 1960s. Not a canoe, but a Blandford type; I have a Curlew dinghy in the Boat Shed (Garage) awaiting restoration. She was built by a sailing mate of mine in the mid 1960s, and he made a very good job of her. She then fell into disuse and I turned up just in time to save her from becoming a bonfire. Looking forward to finding the time to do the business with her. I think that i could afford a ‘proof of concept’ project with an old complete boat, there is one on Ebay right now although a long way away. It might be possible to sort out a rig, rudder and board fairly quickly. If it worked then i might get a Jordan kit or maybe an Ougtread CNC file and get the parts cut. I’m coming back to the project concept with a look at MacGregor’s work. Looking forward to see what you come up with Steve, although I can see why something a bit closer to home would be better. You can always go and look at a Granta at the National Maritime museum in Falmouth — don’t think there are too many left today!